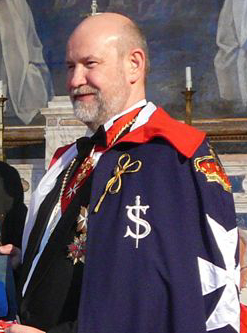 It is with the deepest sorrow that the Sovereign Order of Cyprus (Knights of Sword and Silence) and the Sovereign Order of Saint John of Jerusalem, Knights of Malta, Federation of the Autonomous Priories (KMFAP) announce the decease – in Timisoara, Romania, in the early morning of the 28th January 2013, in the sequence of a heart stroke – of one of the most prominent and committed Knights, Prof. Sir Zoltán Pánczél, our dear Grand Cross Knight. Prof. Sir Zoltán Pánczél was also the Minister of Economy and President of the Chamber of Commerce, Industry and Services of KMFAP, the Honorary Consul of the Republic of Hungary in Timisoara, and Rector of the Mihai Eminescu University of Timisoara. Sir Zoltán was a very active and committed Knight and due to his remarkable personal qualities it was an honour for our Sovereign Order to have him as one of us, therefore his decease constitutes a great and tragic loss for all of us. 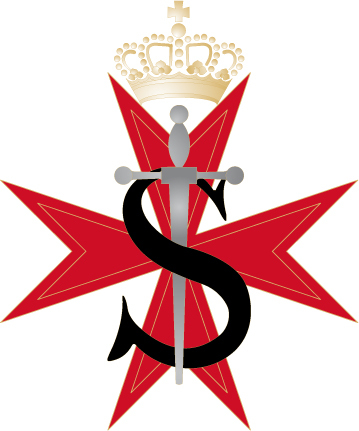 The Executive Grand Chancellor of the Sovereign Order of Cyprus, in his name and also on behalf of the fellow Knights and Dames, presents his most sincere and deeply felt condolences to the family of Sir Zoltán Pánczél for their unexpected and tragic loss and joins them in their grief.